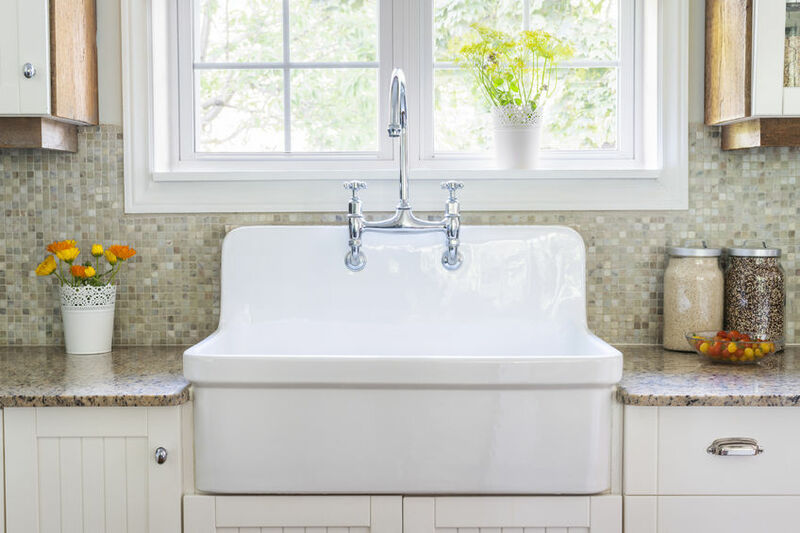 Farmhouse sinks, also known as apron-front sinks, used to be just a practical choice for washing large pots and pans or your dog. But they’ve gone far beyond utilitarian purposes. Today the sink makes a design statement. They’re available in everything from floral patterns to colors other than white. This variety allows the sink to work as well in a modern kitchen as it does in a traditional one. Some manufacturers even let customers design their own pattern, so they can get exactly what they want. The sink’s style is very distinct, with an exposed front that can be highly decorative – for example, an embossed pattern on copper or a decorative pattern on fireclay. Or they can be very sleek and modern, such as those with a stainless-steel front, says Sharon Flatley, who owns Flatley Design, a Dallas firm that specializes in kitchens and baths. Designs have been updated to be more convenient, easy to use and ergonomic. “The sinks now come with very deep interiors, rounded corners for ease of cleaning and grids that fit into the bottoms of the sinks to prevent scratching their surface,” says Flatley. Those that are designed to be farther forward put less stress on your body while you’re doing the dishes. While porcelain and fireclay sinks still reigns, homeowners can now also choose other materials too like copper and zinc. But what’s gaining ground is – no surprise – stainless. “It works well in a very modern kitchen or even a transitional kitchen design,” says Flatley. [A transitional kitchen is a combination of modern and contemporary design.] “They are almost pieces of art in themselves with their very sleek and elegant designs.” Many of the stainless sinks come in a brushed finish, which looks contemporary as well as prevents superficial scratches from showing. They also come in darker finishes, including one that looks like bronze. 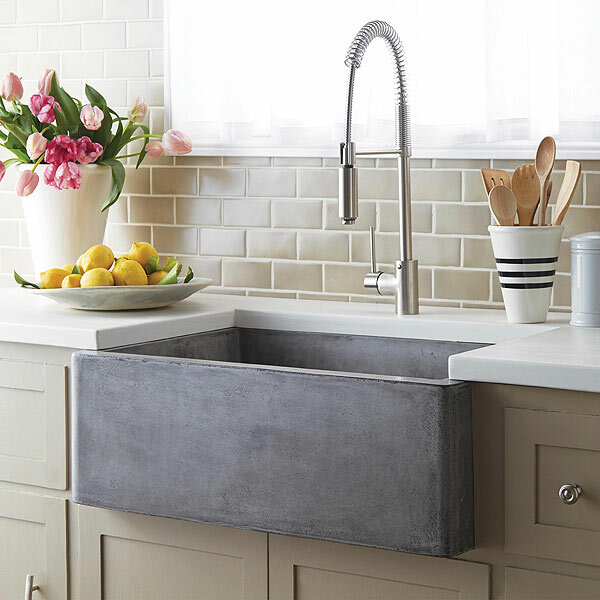 Farmhouse sinks offer more than a one-size-fits-all design. The latest come in various sizes that will fit most kitchen configurations. “They are mainly square or rectangular,” says Flatley, “but they do have a variety of bowl configurations, with everything from low bridges for soaking large pans to just one very large bowl.” That means that whether your kitchen is very small or very large, you can find a farmhouse sink that suits your square footage. Whether it’s a sink for your kitchen remodel or the multitude of other product choices you need to make, HomeOnTrack can ease the stress of the selection process and keep everything organized. Find out How!